Kylie Jenner Says That She Doesn't Share Her Whole Life, But With So Many Instagrams, What Could She Be Holding Back? Kylie Jenner is getting cryptic on Twitter... ironically, about being transparent. 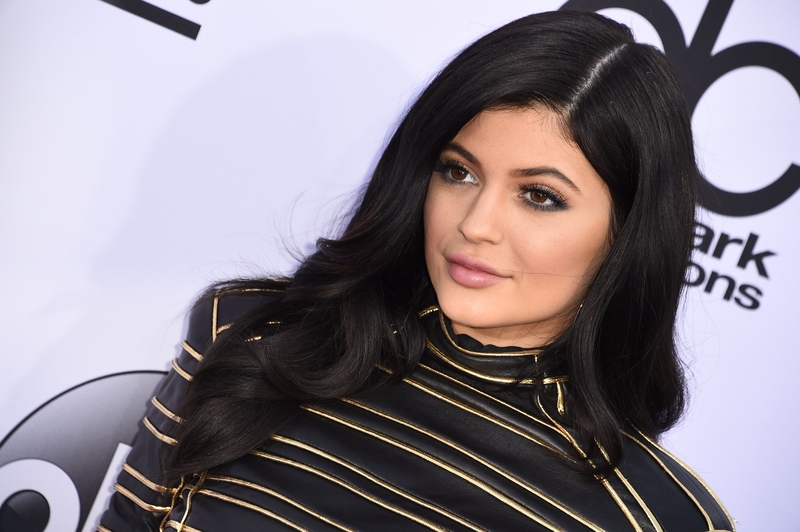 On Friday, Kylie Jenner tweeted some deep thoughts about the problem with kids these days. She wrote, "That's what's wrong with today. If you don't show or "prove" to social media that you've done something it's like it never happened!" A good, if not over-made, point about FOMO, the Internet, and the facade of social media. In a follow-up tweet, Kylie made it personal, saying that the real Kylie is not just whatever the public imagines based on what she posts on social media. Again, a valid point to make — except Kylie Jenner shares just about everything on social media. As she puts it, "My reality is... I only show people what I want them to see." I wonder what's been going on lately that could incite such a musing about the ills of technology? My guess was this was inspired by the response to her photos of her high school graduation party on Thursday. The Keeping Up With the Kardashians star posted several photos on social media from her graduation bash, which, admittedly, was over-the-top and out of control. I don't know what your high school experience was like, but Ryan Seacrest didn't host my graduation party. She was probably talking about, in some sense, the diploma she posted a photo of — real, hard proof that she graduated — because there were plenty of ugly comments on the photo calling the diploma fake. Maybe Kylie's talking about her graduation pics, but I feel like there might be something bigger going on here. It seems to me like Little Jenner might be feeling the pressure of the spotlight that's constantly on her — and that's totally OK! It's confusing being 17 years old. It's a sensitive time, filled with insecurity about the future, a sense of new responsibility about becoming the person you want to be, and acne. And even though Kylie is part of the Kardashian-Jenner super-family, essentially American royalty, it's still a tough, tender time being a teen. Kylie does share an awful lot about her life, between the pictures and videos she posts on her Instagram, Twitter, and Snapchat accounts, and of course, being on Keeping Up With the Kardashians, so if she means that she feels misunderstood by the public, she does have plenty of platforms to change her image. She's got a huge audience — in fact, her next tweet after the ones above was thanking her fans for getting her to 3 million Instagram followers. And if she doesn't want to show people the "real" Kylie, that's cool, too. Even though she really puts herself out there (or some version of herself, at least), Kylie Jenner still deserves a personal life, and it's probably discouraging to her that even though she shares and shares and shares, there are seriously insane rumors about her born every day. So if she wants to keep not showing her entire life, that's her prerogative.